Lauren, this dress is goooorgeous, and I love it with the shirt layered underneath! I want to know what you're being for Halloween! As far as the sickness goes... do you think it could be an inner ear problem? When I get sick, it also affects my eustachian tubes (everything with your sinuses are all connected), which really impacts my ability to hear and keep my balance. You might try making an appointment with an ENT (ear, nose and throat doctor). It could also be a result of medications, etc., but my best guess is an inner ear thing, because as far as I know, that's the most likely thing to affect your balance. I hope you start feeling better very, very soon!! I have problems with dizziness, especially when the weather changes. Believe it or not, taking an over-the-counter medication for motion-sickness helps. Look for products that contain meclizine, such as Bonine. That's what my too-neurologist suggested for me. 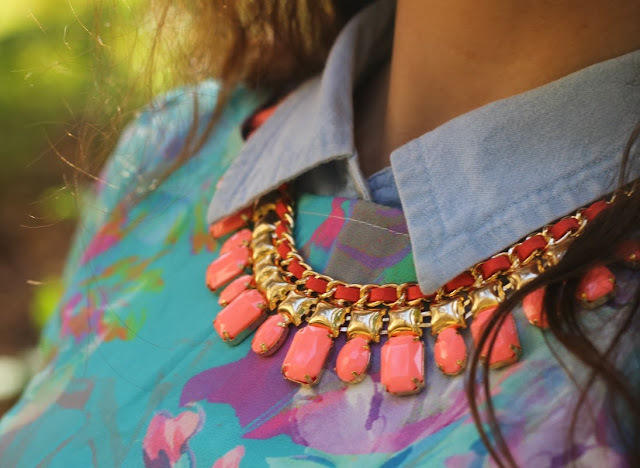 cool statement necklacE! 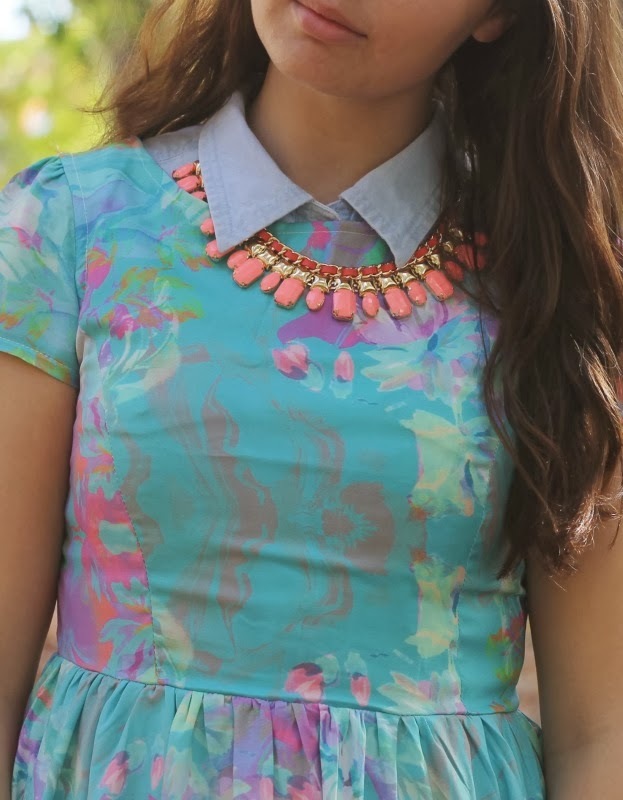 love the pastel colours in this outfit!